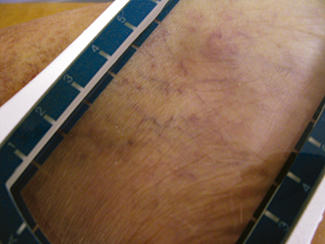 Around 60% of the population suffer of spider veins (telangiectasia), especially in the face, hands and legs. The small, almost invisible, veins of hands or legs are also a frequent reason for medical consultation. Camouflage systems such as make-up or clothing may help but they do not offer a really satisfactory solution for patients. INTERmedic offers the most effective choice for a large number of vascular pathologies, such as spider veins, superficial telangiectasias, red and blue veins, telangiectatic spots and other. Laser energy penetrates into the skin and is absorbed by the blood. 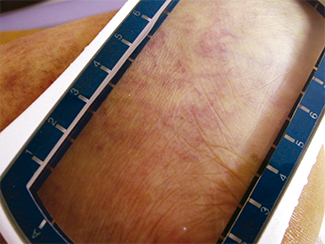 As a result, the vessel temperature rises considerably, causing the collapse of the vein without purpura. Diode laser wavelength achieves it through effectively without causing skin lesions. INTERmedic’s Multidiode™ Surgical Series 4G laser procedure can be applied on any skin type. The unsightly veins will disappear almost entirely after a few treatment sessions. INTERmedic has two specific laser tool for the treatment of telangiectasias in face, hands and legs: Multidiode™ Surgical Series 4G and Dermalase™. Multidiode™ Surgical Series 4G is a powerful multi-application system incluiding long-lasting laser generator technology. Multidiode™ Surgical Series 4G is the doctor’s preferred tool around the world for percutaneous vascular laser treatments. It has several interchangeable handpieces for different indications, allowing safe, comfortable and effective applications. Dermalase™ is the most comprehensive and complete solution of INTERmedic for kin care with the most advanced 1064nm laser technology. Dermalase ™ is effective , achieves excellent results and has multiple applications in cosmetic dermatology.